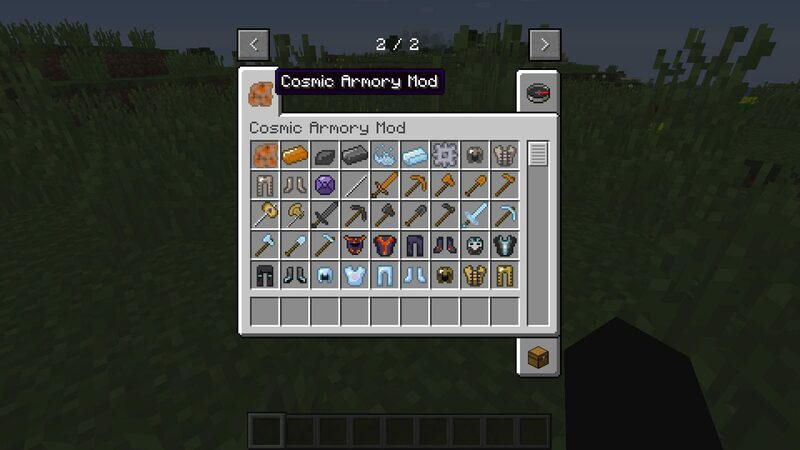 Cosmic Armory mod is mod created for Minecraft 1.12 by milomaz1. 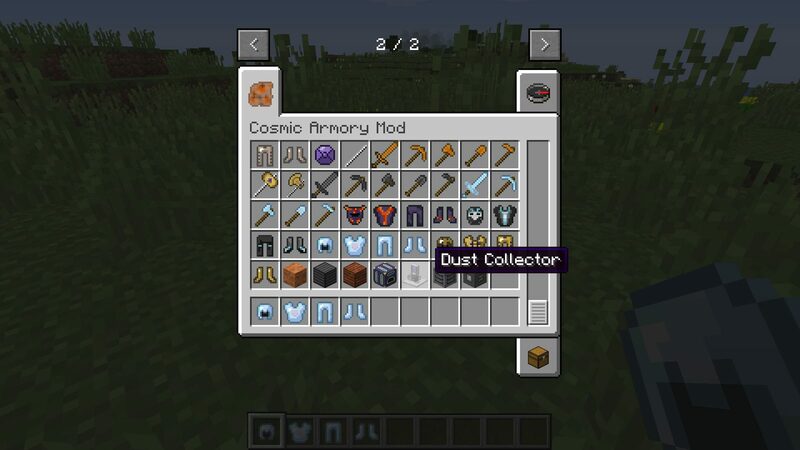 With this mod you’re able to get new great passive machines with a new crafting system. This isn’t yet another mo’swords mod. 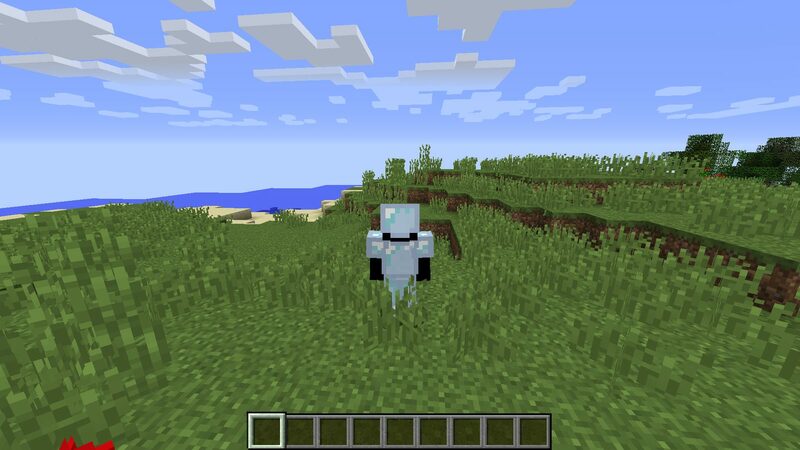 The main goal of this mod is to add armors and weapons in new way. 1. Craft a solar Dust Collector. . now you’re on path to Comet Tools, fast but not very strong. Once you have crafted this machine, place it anywhere you like and wait. That’s it, it’s simple. It will collect some resources, but you need to look for Comet Tail Dust. 2. Craft a Bedrock Miner – whit will put you on the path to Dense Steel Tools, super heavy duty. Also, once crafted, place it on the bedrock and wait. 3. Locate a meteorite – once you find it, mine it with a diamond pickaxe or better. Next, you can make a Cosmic Forge. This forge will eat up anything blue and shiny instead of coal. And last step, three, create the tools and armors like you would with all original vanilla tools. Going Further: To gain creative flight in survival, you must craft the shells of each armor piece, made with a Dense Steel armor piece and the respective meteorite ingots in the shape of that piece around it. Then smelt this with a comet armor piece of the same type. It sounds like a lot because it is, but this will result in super strong armor with creative flight! If you have any questions about this mod, don’t hesitate to post question below in the comment section. Bedrock miner not working. Waited two minecraft days, and nothing. 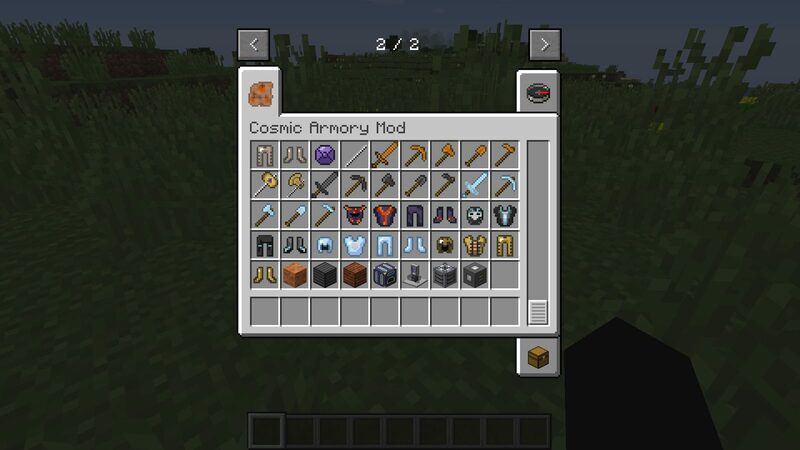 Lee, you tried Cosmic Armory version 1.4, but there is already newer version 1.6.55. Please try also with this updated version.